There’s a new kid in town, with a fresh take on the storied culinary tradition of The Cabin of Willowick – a longstanding culinary institution along Lakeshore Boulevard. This month, new chef/owner Carmen Paponetti unveiled plans for breathing new life into the iconic seafood and steak eatery – beginning with the release of a fully redesigned menu, which serves up a flavorful array of locally sourced ingredients and scratch recipes. From a fun new lineup of apps and small plates in the bar, to seasonal specials and updated entrees from the refreshed menu, this isn’t your grandfather’s Cabin restaurant fare. There’s a new kid in town, with a fresh take on the storied culinary tradition of The Cabin of Willowick – a longstanding culinary institution along Lakeshore Boulevard. This month, new chef/owner Carmen Paponetti unveiled plans for breathing new life into the iconic seafood and steak eatery – beginning with the release of a fully redesigned menu, which serves up a flavorful array of locally sourced ingredients and scratch recipes. From a fun new lineup of apps and small plates in the bar, to seasonal specials and updated entrees from the refreshed menu, this isn’t your grandfather’s Cabin fare. The chef and staff labored over the old menu and released new dishes in both the bar and main dining areas. Across the board, the menus are more playful – offering more modern recipes, high-quality ingredients, upgraded seafood and Certified Angus Beef. As for popular new items like Ancho Tacos with Mango Salsa, one patron claimed they were “the best tacos they’d had since Mexico.” The bar also offers up a signature Cuban sandwich, featuring slow roasted loin on pineapple Hawaiian bun, with fresh cut Cabin Fries. Perhaps the biggest change? Every section of the menu now offers a rustic vegan or vegetarian option, including new favorites like the Roasted Eggplant and Falafel entrees, and Burrata cheese board. Paponetti is quick to detail the one recipe for getting people to “Stop Out to The Cabin” – retain its authentic and local charm, and cook up a more inviting destination and dining experience for the next generation of foodies in Northeast Ohio. Night after night people share their stories like, “I came here for my first Prom” or “my reception for first communion was here,” Paponetti says. Some people say they’ve been coming in since it first opened. For the entire Cabin family, there is also an opportunity to carry on a tradition in the community. With plans to release an all new dessert menu later this month, maybe it’s time you make plans to stop out to The Cabin. 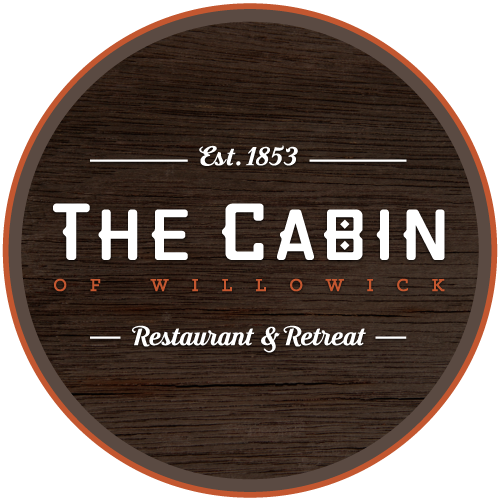 The Cabin of Willowick - Winter Menu 2016The Cabin has released a flavorful new menu for 2016! The Cabin of Willowick - Bar Menu 2016The Cabin also offers a bold new bar menu!